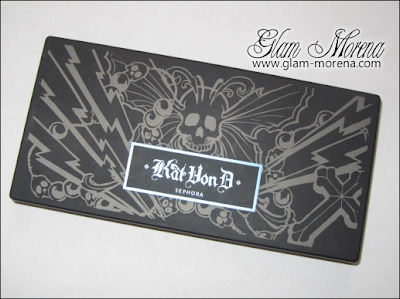 Glam Morena: Review: Kat Von D True Romance Eyeshadow Palette. Review: Kat Von D True Romance Eyeshadow Palette. I own two Kat Von D eyeshadow palettes, so I'll be doing reviews and swatches of them. 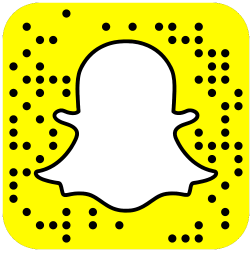 The first one I'm going to show you is a palette that I won as a prize. 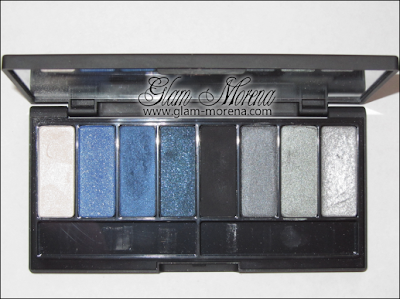 It's the Kat Von D True Romance Eyeshadow Palette in Metal Orchestra. Description: A smoky eye adds an instant air of mystery—create your own with the Metal Orchestra Eyeshadow Palette. Designed by reality television star Kat Von D especially for Sephora, this artistic spectrum of shades brings an edgy-glam creativity to your makeup. The sleek black eyeshadow palette is stenciled with silver roses and arrives packaged in a silk-screened black and silver box that is itself a work of art—and inspired by Kat's favorite tattoo. Overall Thoughts: All Kat Von D True Romance Eyeshadow Palettes retail for $34.00, which isn't a bad price since you get 8 eyeshadows in every palette. The packaging is sleek and black. The outer packaging reminds me of NARS with the rubbery-like black packaging. This palette is very easy to store because it's not big or bulky. There's also a nice sized mirror included in every palette. This palette is perfect for creating smokey eyes! The combinations are endless. 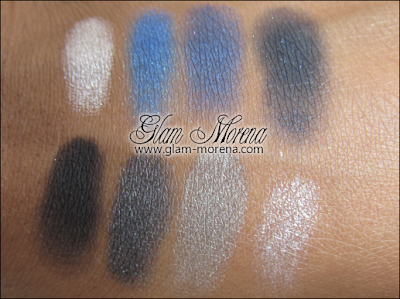 The eyeshadow shades range from blues, to grays, there's a black, and there's a white. Each eyeshadow is vibrant and highly pigmented, except the cream eyeshadow. The cream eyeshadows are pointless and a waste of space. I don't know why Sephora insists on putting one cream eyeshadow in every palette now. I really wished they would stop putting one in and only have powder eyeshadows again. My cream eyeshadow was dried out from the start. Each eyeshadow has a shimmery or metallic finish. As with any eyeshadow that contains glitter you're going to experience some type of fall out. Thankfully I now own a glitter eyeshadow base to fix that issue. The only eyeshadow that has a matte finish is Lucifer. 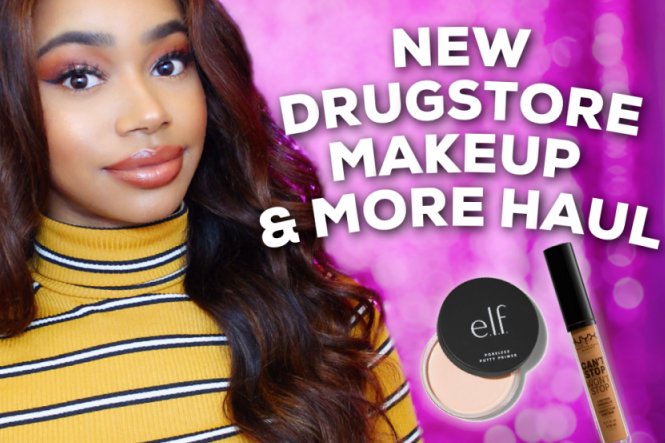 If you're a fan of only matte eyeshadows, dislike smokey eyes, or dislike blue eyeshadows then you're probably not going to like this eyeshadow palette. If you are a fan of all of those three things I mentioned then this palette is worth checking out. Swatches of the Kat Von D True Romance Eyeshadow Palette in Metal Orchestra! Have you tried any of the Kat Von D True Romance Eyeshadow Palettes? I have this palette too I got it after it first came out, and the creme shadow I used once before it dried up. I do like the blue side a lot though. Great review. I haven't tried any Kat Von D True Romance Eyeshadow Palettes, but I'd like to. I've wanted to try her make-up line period. Her concealers look great & I agree with you by the swatches the cream looks pointless but you could make it work. I really wish they would stop putting cream shadows in these palettes, then I'd be all over them. They're pointless. Great review! I have heard a lot of mixed opinions about KVD products, but this palette looks nice and pigmented. And the packaging is pretty sick!